One or more photo(s) has been virtually staged. VICTORIA GARDENS 55 & BETTER! Gated Community! ACTIVE LIFESTYLE! This sought after community welcomes you with this charming ARVIDA Block built 3 bed 2 bath home. Established landscaping! Covered front entry leads to a spacious foyer and presents a GREAT ROOM offering Dining and Living Space. Plantation Shutters. Tiled Common Areas. Functionally designed Kitchen has lots of counter-space, breakfast bar, GAS RANGE, closet pantry, light and bright EAT-IN space. Split Bedroom plan for the comfort of your guests. Both guest bedrooms have comfy carpet, plantation shutters and closets with storage shelving. Guest bath offers tub/shower combo. The MASTER SUITE has French doors to the Covered and Screened rear Lanai. Double entry to the large master closet with Customized Closet Storage system. Master Bath has LARGE walk in shower, Handheld Shower Head and Grab Bar. Both baths have updated lighting! A Home Feature you will love: HURRICANE SHUTTERS that roll down (with a touch of a switch) over both Master and Living Room French doors to the Lanai! Community Amenities include Clubhouse with Dining, Bar, Pool Tables, Game Rooms, Fitness Room. Heated RESORT style Pool! Lawn Care, Reclaimed Water, Hi-speed internet and Cable HD-TV included in HOA dues! Be as ACTIVE as you want, this community offers AMAZING Opportunities to get involved or just RELAX! Great Access to I-4 for Lake Mary, Orlando, the Beaches, Resort Destinations and Multiple AIRPORTS! 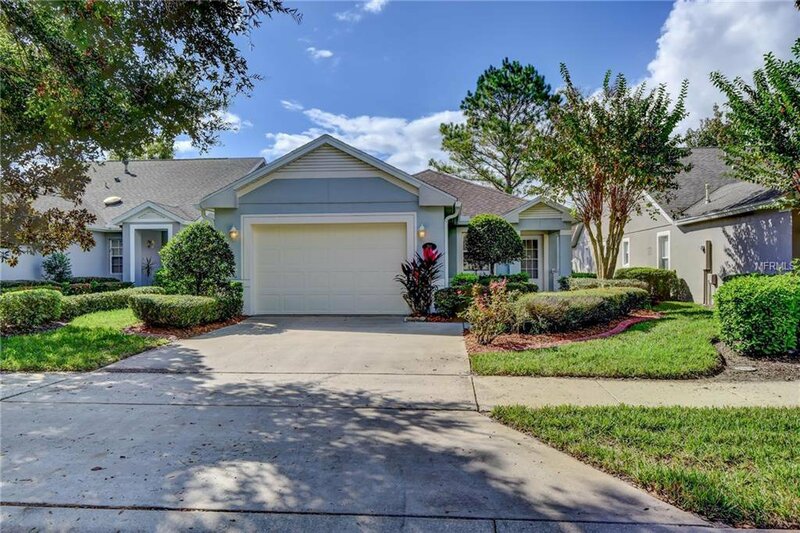 Listing courtesy of CHARLES RUTENBERG REALTY ORLANDO. Selling Office: CHARLES RUTENBERG REALTY ORLANDO.